1 bedroom Holiday Cottage, Isle of Wight. Stay on a Farm. Perfect couples retreat. Two bedroom self catering cottage with stunning views. The property has recently been renovated and is finished to a very high standard - Think New England chic meets country retreat with sea-grass carpets throughout, beautiful bespoke fabrics and curtains, shabby chic furniture, bedrooms with en suite's and a high spec open plan living area and kitchen. The unique selling point of this holiday rental is it's 'upside down house' design. This means that the living area and kitchen is on the first floor with the beautiful 'Look Out' views across the island, and the bedrooms are located on the ground floor with views of the beautifully landscaped gardens. 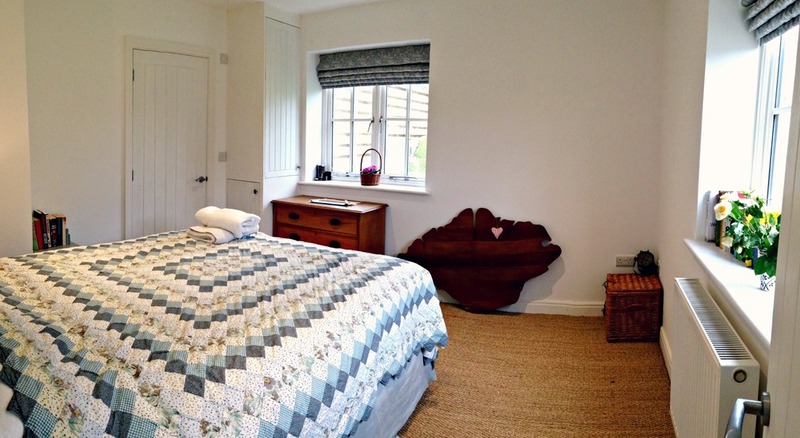 The Cottage is available to hire on selected weekends and week days. Please contact us for prices and booking.